On his very first trip to the library, many months ago, Sam took a book off the shelf and fell in love. I’m sure I never would have picked it out for him. 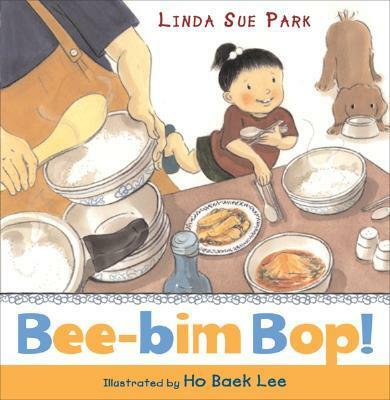 It’s a book about a little girl helping her mom make bee bim bop, a Korean dish. By the time we had to return the book, Dave and I were happy to see it go. Sam had brought it to us so many times that we had it memorized forwards and backwards. Today, I came across it at the library and decided to check it out again. I didn’t think Sam would love it as much this time around. Boy, was I wrong! He found it in the stack of library books immediately after I brought them into the house, and we’ve probably read it to him 20 times this afternoon. We might just have to buy him a copy.